North Korea is ready to resume the work of its nuclear center in Yongbyon, although the nation’s officials claim that the country still considers an opportunity of nuclear disarmament. 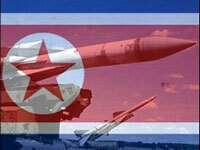 The absence of dialogue with the US administration is the only obstacle for Pyongyang to resume the six-sided talks. The USA is ready to discuss the matters, but it has its own conditions for it. North Korea is determined to follow Kim Il Sung’s legacy and agree upon the total nuclear disarmament of the Korean Peninsula. However, the nation would be ready for it only after the USA agrees to conduct direct talks with North Korea. NKorea’s Kim Jong-il said as a result of the talks with the Chinese delegation that the hostile relations between North Korea and the United States should be turned into peaceful ties by means of bilateral talks. Pyongyang pulled out from the de-nuclearization process in April as a token of protest after the UN imposed sanctions against the nation following an attempt to test a ballistic missile, which was disguised as a booster rocket to launch a satellite into space. North Korea later conducted its second nuclear test and launched several small-range missiles. If Washington agrees for a dialogue, Pyongyang will resume all consultations, including the six-sided talks, Itar-Tass news agency reports. The USA confirmed its readiness to start negotiations with North Korea, but said that the latter should at first return to the six-sided format of negotiations. State Department spokesman Ian Kelly said Washington was aware of reports that North Korea would reconsider opening talks but said the United States had not yet gotten details of the meeting from the Chinese, The Associated Press reports. "We've seen those reports," Kelly said. "We've talked to our Chinese partners in the six-party talks and we're conducting close coordination with China and the other partners in the talks. "We, of course, encourage any kind of dialogue that would help us lead to our ultimate goal that's shared by all the partners in the six-party talks, which, is the complete and verifiable denuclearization of the Korean peninsula." Nevertheless, despite peaceful declarations, North Korea continues to recreate its nuclear center in Yongbyon. The nuclear reactor, which the nation supposedly shut down two years ago, is about to be launched to produce weapon-grade plutonium.